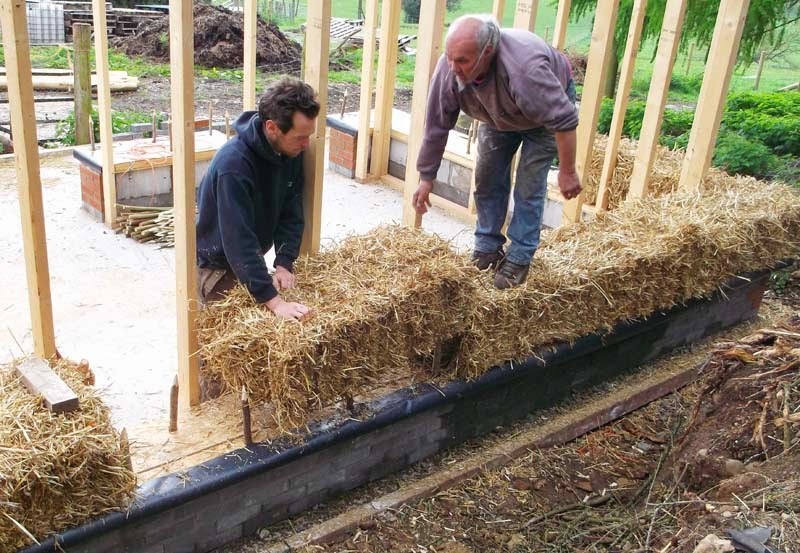 Really the bales are mainly there for insulation but they do a great job of that and might save you loads of cash. 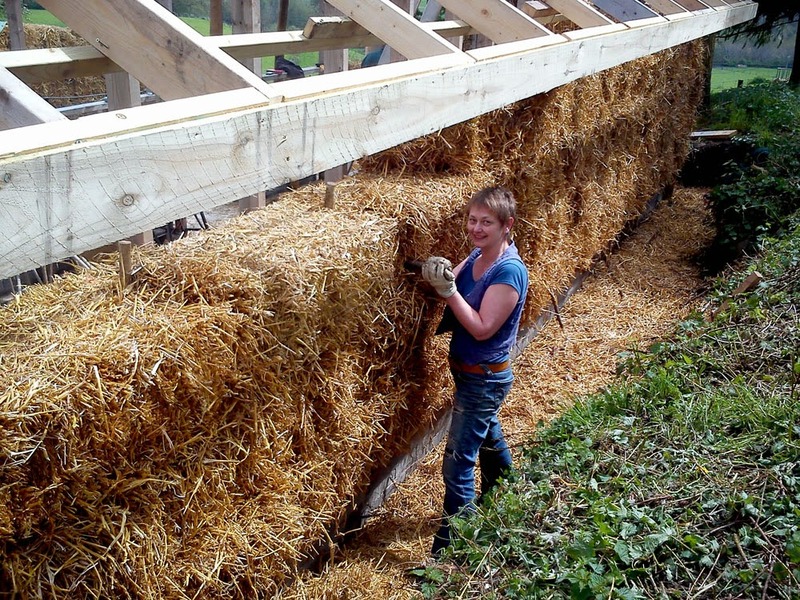 So if you're building a house and have a source of cheap bales it's definitely worth checking out but look into the whole thing very carefully! The back wall mostly finished. 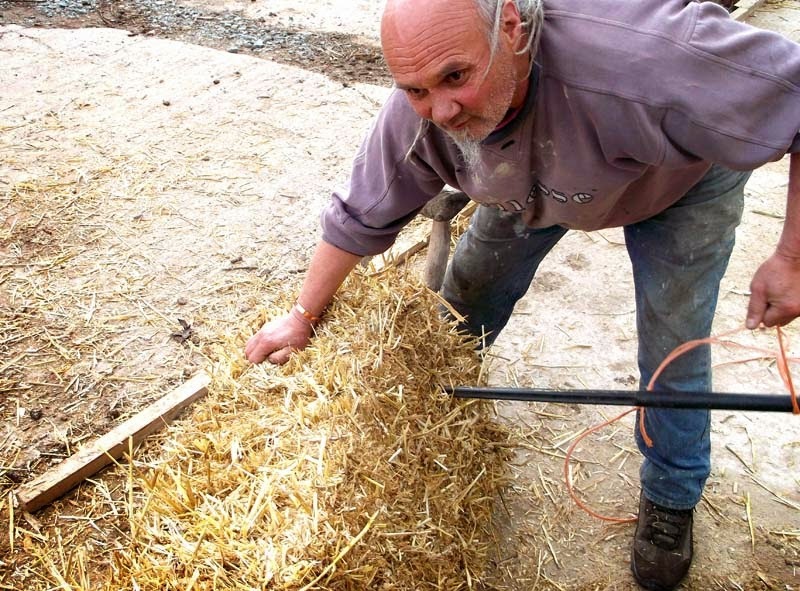 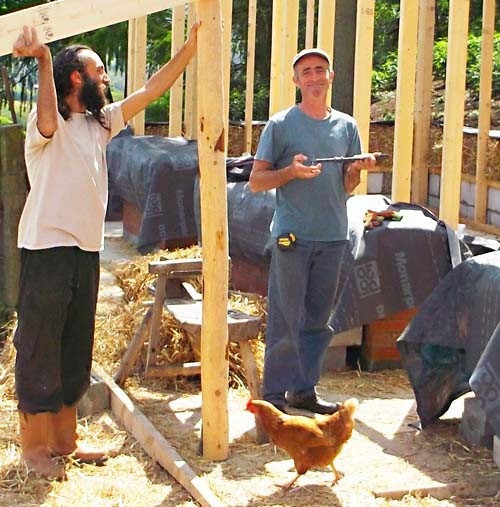 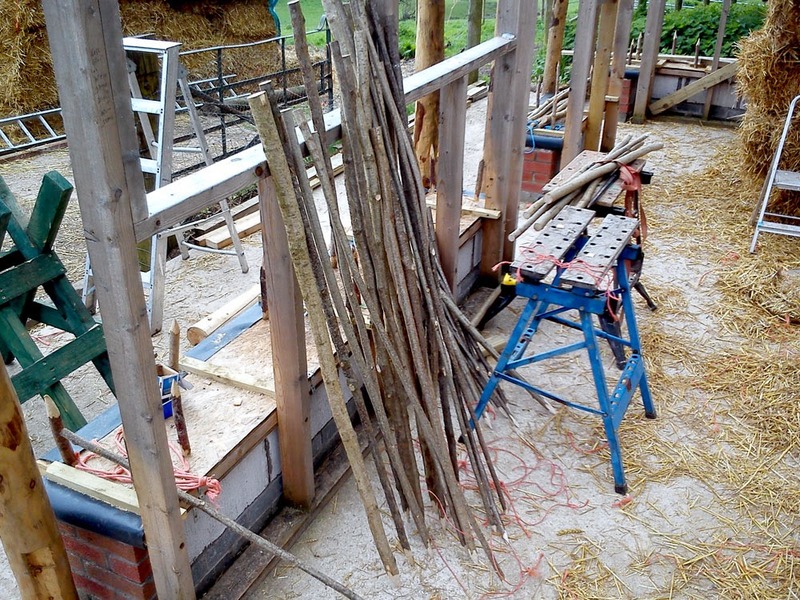 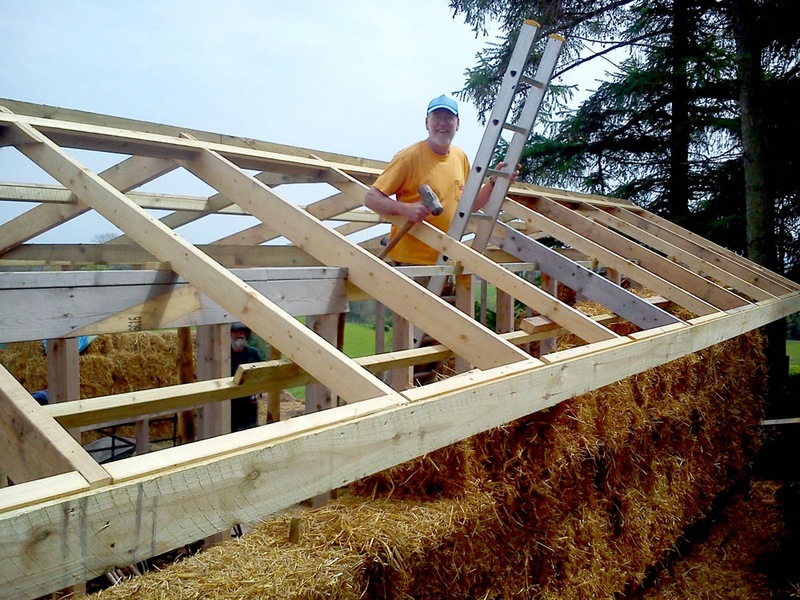 Azzi, who build himself a wonderful oval straw bale house at Sych Pwll, working with me on the frame last year. 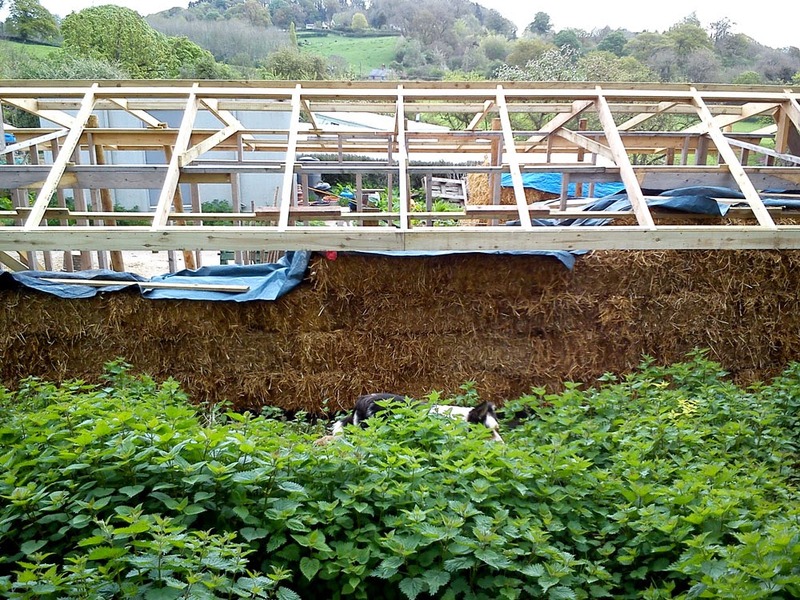 You can see it all here, the brick and block footing, RS board boxes to take the spikes for the first layer, the timber frame and the first row of bales on the way. 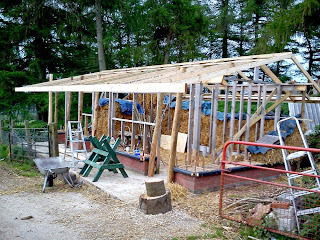 With Azzi moving abroad and the pressure from other work our straw build progress came to a halt at about the point in the picture above. 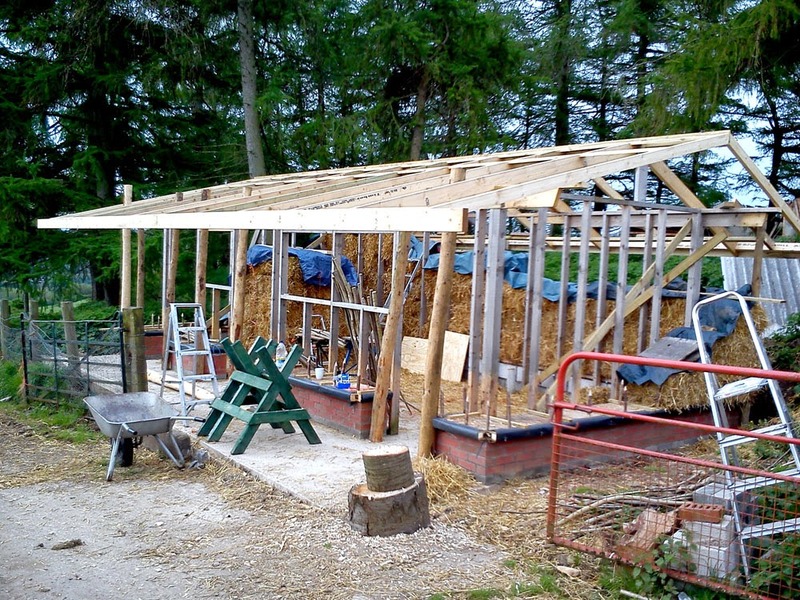 The frame sat exposed to the elements over the winter and having two hen houses blown into it in the winter gales didn't improve it much. 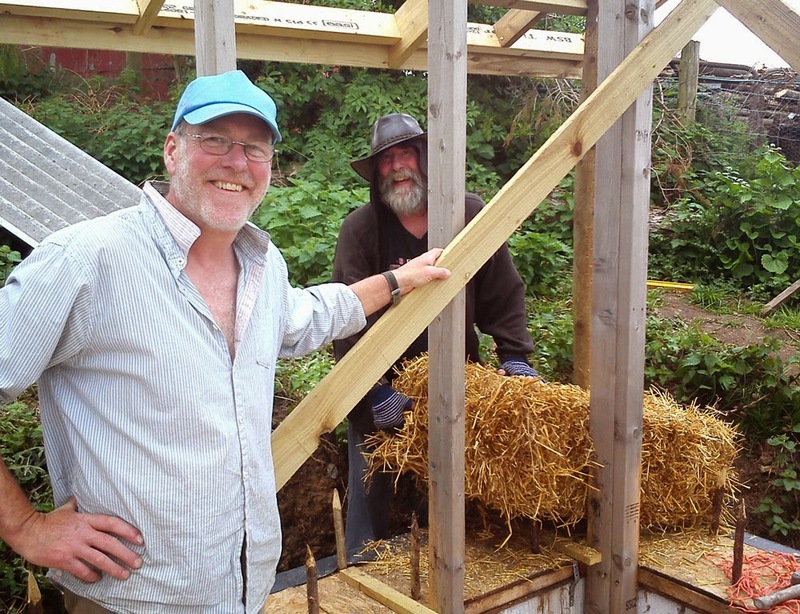 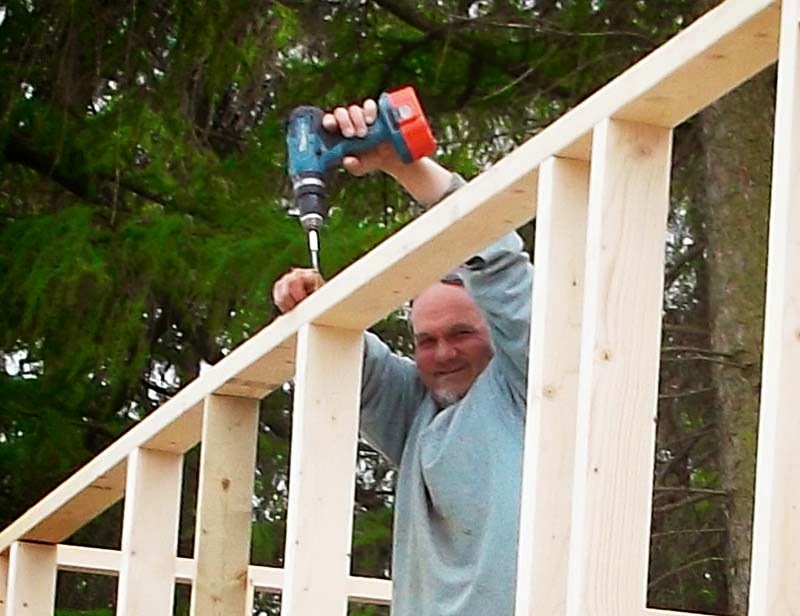 Then the man in the picture below, James the Rocket, with many years' experience of roof structures and woodwork generally came to give us a hand and the project has moved forward again. 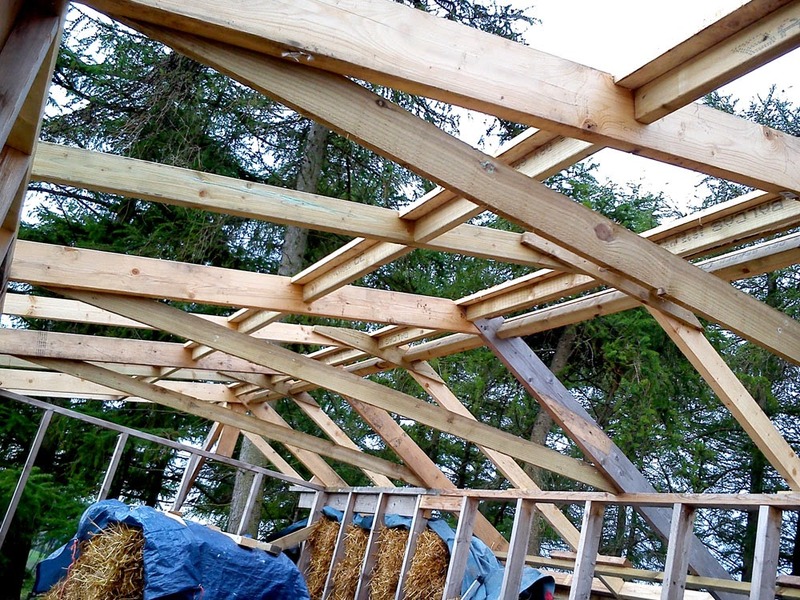 We'll all breath a sigh of relief when it's wind and watertight. 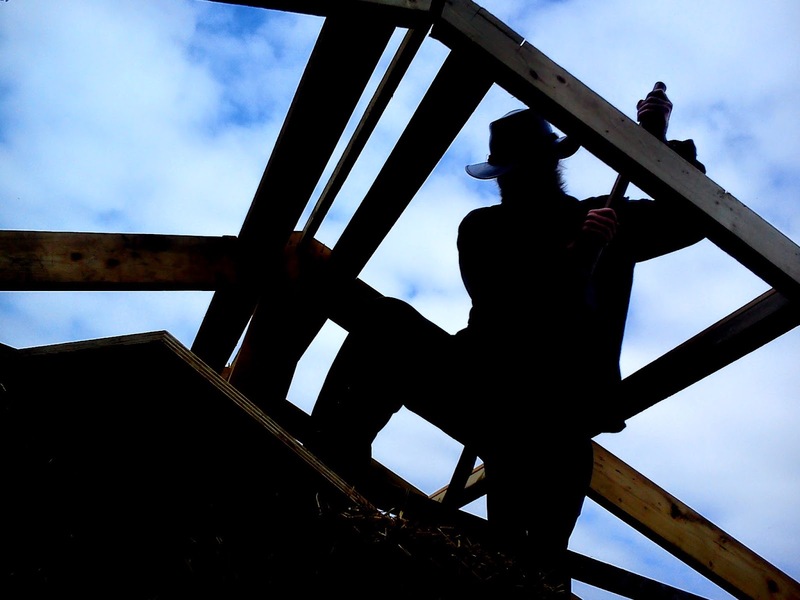 Prestige Brick and Block Ltd is a family run commercial and residential brick and blocks laying company in New Zealand. 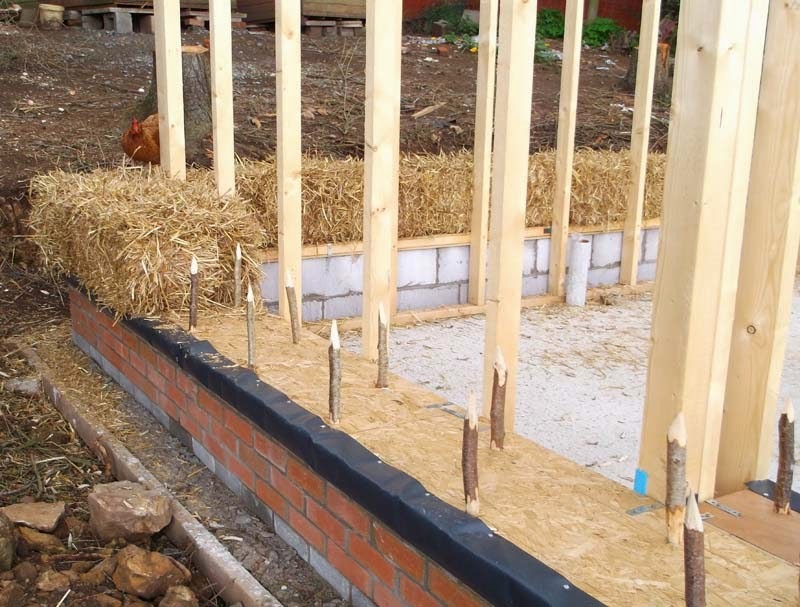 Specializing in brick and blocks laying work means we work with together with clients and adhere to all required safety measures and ensuring quality work.